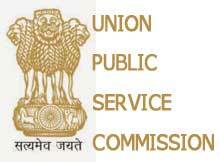 A total of 29 students from Odisha cleared the Indian Civil Services Examinations (ICS) 2014, conducted by the Union Public Service Commission (UPSC), the results of which were announced on Saturday. With seven of them making it to the top 100 this year, the performance of aspirants from the State has been one of the best in recent times. Among the Odisha students, Ananya Das has secured the top position with 16th rank followed by Muhammed Abdaal Akhtar (35), Lingaraj Panda (38), Kranti Kumar Pati (50), Pamela Satpathy (51), Pravat Mallick (68), Ruturaj (69), Smruti Ranjan Mohanty (87), Sandip Kumar Mallick (102), Arunanshu Giri (132), Abhishek Tripathy (151), Soumya Mishra (177), Padmini Sahu (199), Sushant Kumar Mishra (237), Ashish Kumar Panda (276), Satarupa Mishra (303), Ranjan Agarwal (418), Nanda Dulal Das (493), Rahul Jain (515), Apurba Mishra (654), Amrit Ruturaj (650), Anshuman Mishra (672), Sucharita Das (711), Dhiman Barai (768), Hruday Kumar Das (1079), Sunil Das (1161), Raj Kumar Das (1172), Pareswar Das (1220) and Rakesh Das (1231). It may be noted that in the UPSC 2014 civil services exam women have bagged the top four ranks. These include Ira Sehgal (1), Renu Raj (2), Nishi Gupta (3) and Vandana Rao (4). A total number of 1,236 candidates have been recommended for appointment to the Indian Administrative Service, Indian Foreign Service, Indian Police Service and Central Services Group ‘A’ and Group ‘B’.